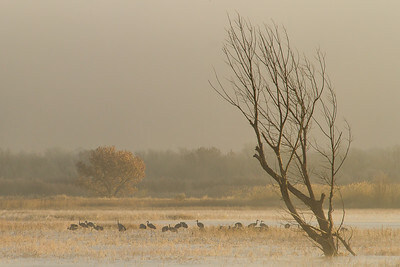 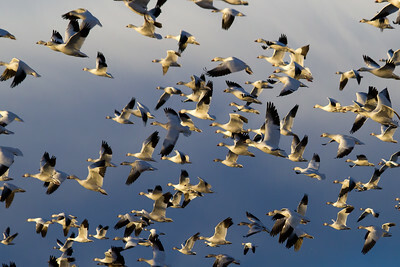 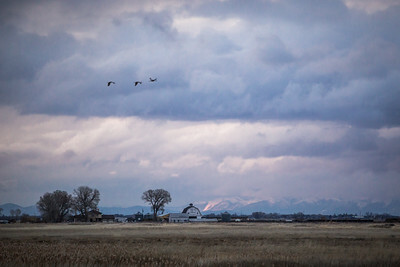 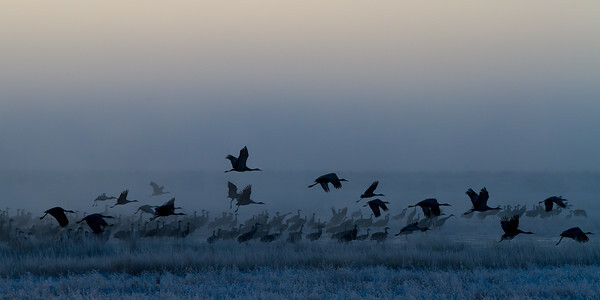 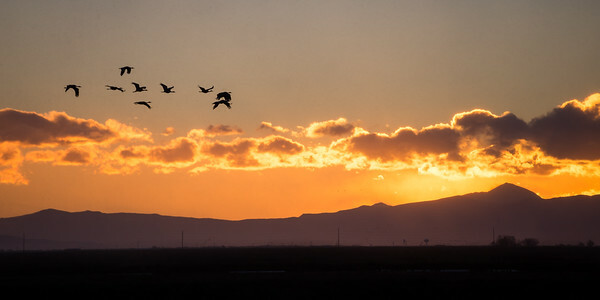 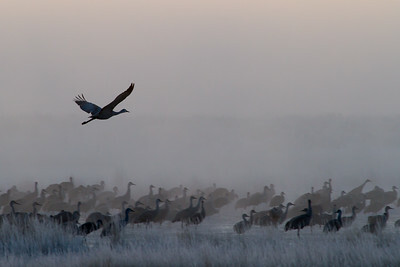 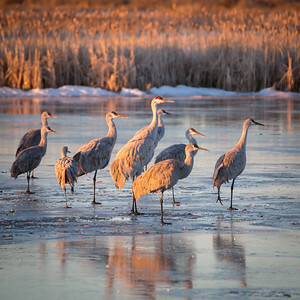 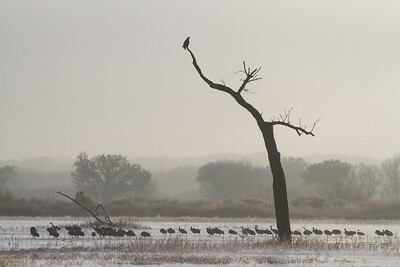 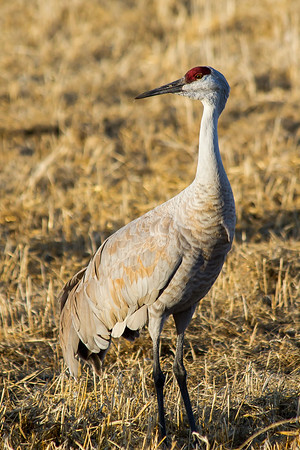 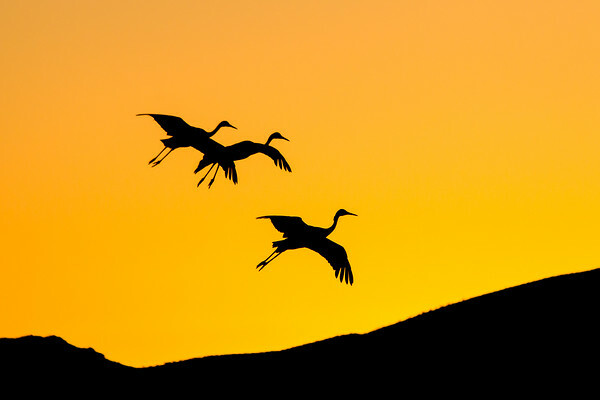 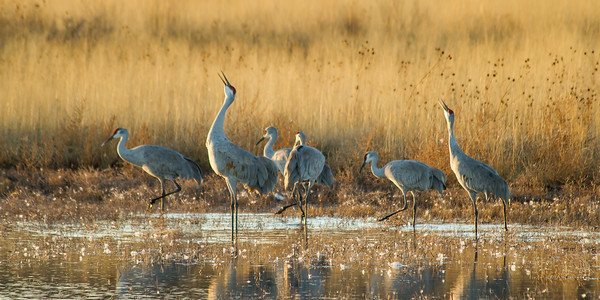 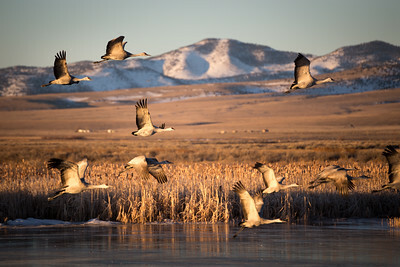 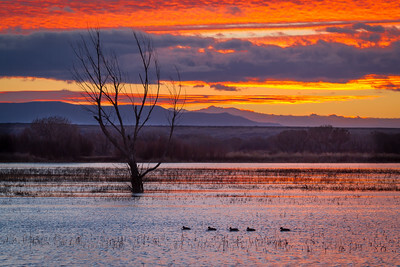 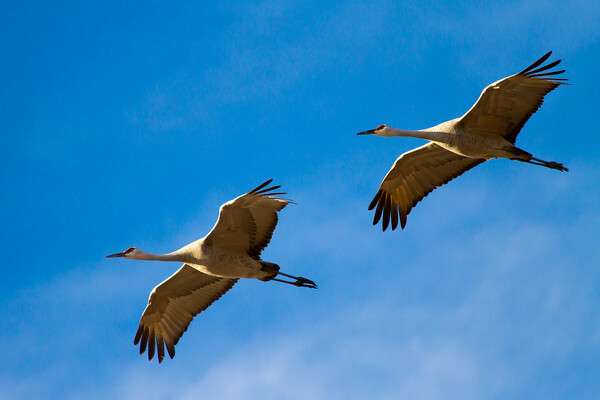 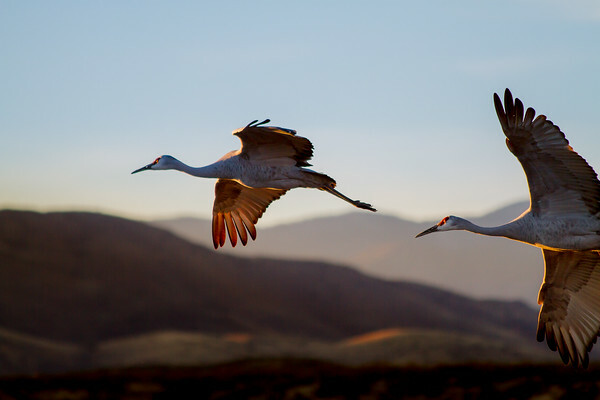 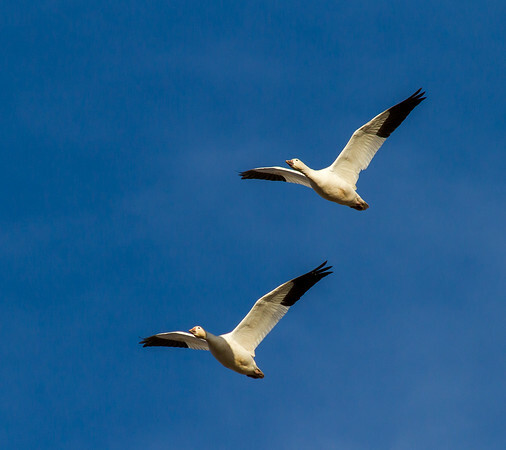 Whenever my travels take me near Bosque del Apache in the winter, or Monte Vista in the spring, I make it a point to spend an evening, and an early morning with the cranes and geese. 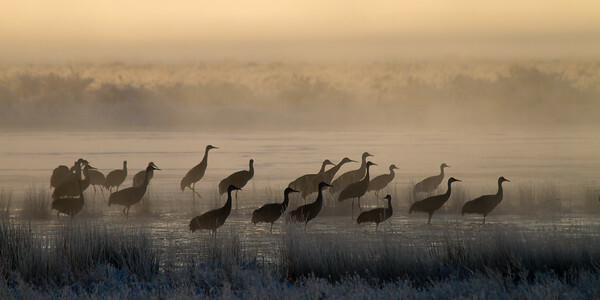 I'm not really a wildlife photographer, so it's a little intimidating standing next to a couple dozen other photographers, with lenses that cost more than all my camera gear combined, while taking photos of the cranes and geese. 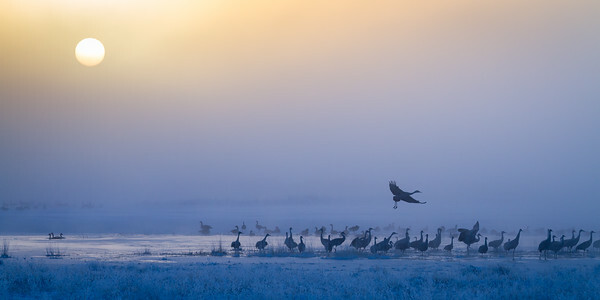 But, it's worth it. 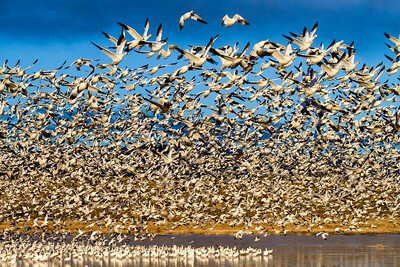 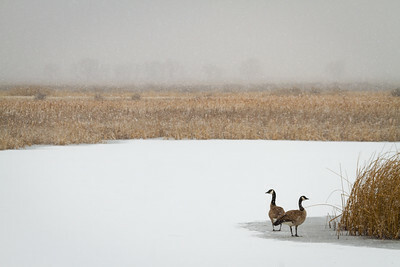 Even if you are not a photographer, the sunrises and sunsets, the beautiful winter landscape, and the "blast off" of the geese, is an experience to be savored. 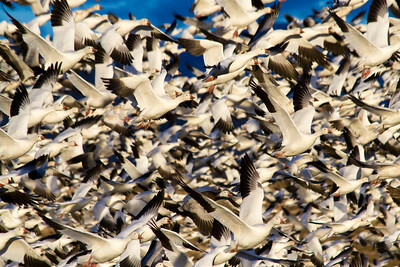 It should be on everyone's "bucket list".